A fully searchable edition of 240,000 manuscripts from eight archives and fifteen datasets, giving access to 3.35 million names. To search London Lives use the boxes on the right or go to the Search Pages. User accounts and workspaces have now been restored. For information on creating a user account, see How to Register Users can once again use the workspace function, but material that was in workspaces before August 2016 has not been restored. Other changes include the correction of tagging errors and broken links, clarification of the terms under London Lives data is made available for reuse, and additions to our bibliography of works that use London Lives as a source. For further information on all these changes, as well as previous site updates, please see What's New. Some London Lives datasets are incorporated in this new AHRC funded website, which traces the lives of 90,000 convicts sentenced at the Old Bailey between 1780 and 1875, linking Old Bailey trials to relevant entries in fifty databases of criminal justice and civil records. 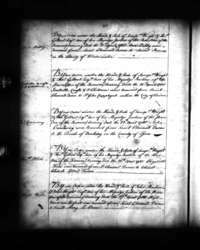 The 'Life Archives' allow users to discover both the pre- and post-trial histories of Old Bailey convicts. They allow users to see differences between the punishment sentences handed down by the court and the punishments convicts actually experienced, and make it possible to compare the impact of imprisonment and transportation on convicts' lives. In addition to the Old Bailey trial records, other London Lives records included in the Digital Panopticon Life Archives are the Old Bailey Associated Records; Criminal Registers; and the Minute Books of the Court of Governors of Bridewell. What was it like to live in the first million person city in modern Western Europe? Crime, poverty, and illness; apprenticeship, work, politics and money; how people voted, lived and died; all this and more can be found in these documents. For more information see the Historical Background pages. For an argument about how the plebeian Londoners documented in these records shaped the development of modern social policy, see: Tim Hitchcock and Robert Shoemaker, London Lives: Poverty, Crime and the Making of a Modern City, 1690-1800 (Cambridge University Press, 2015). Funded by the ESRC, and implemented by the Digital Humanities Institute at the University of Sheffield, the London Lives project is directed by Tim Hitchcock and Robert Shoemaker. The project manager is Sharon Howard. See about this project.